Sounds good, but you need to know what time frame you are investing in! When all three Trends were down together, as they were in December, investors became overwhelmed. That was an unusual confluence of influences. Market Energy(Prana): Market Energy is a combination of these Trends within Trends. 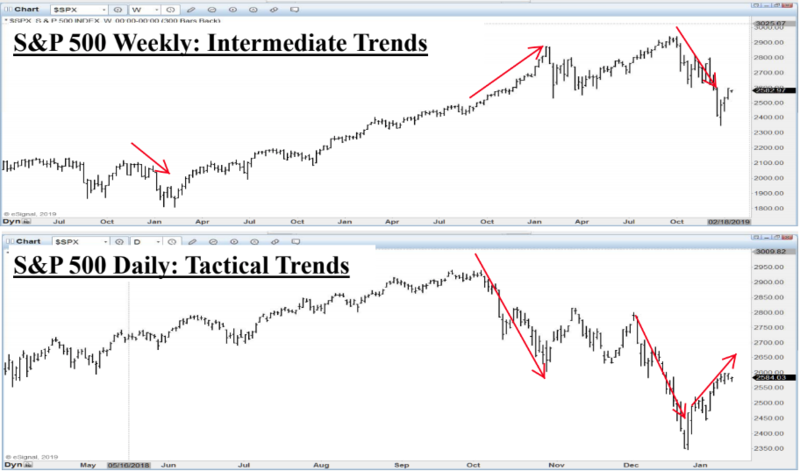 Currently, the Tactical and Intermediate Trends are Up and the Long Term Trend is Down. That diagnosis explains the Market Energy now. If you would like to know when trends are set to end click here We Have A Turn Date Coming SOON!! Interested in knowing when the Tactical and Intermediate Trends are Up are going to top? Subscribe NOW! The special offers below are for a limited time and only available to the first 20 subscribers. The information contained herein was provided by Sentiment Timing does not make any representation or warrant with regard hereto, including but not limited to those of accuracy, completeness, reliability, timeliness and/or infringement on the rights of third parties. This Publication expresses a view on the markets but is not intended to provide any specific recommendation to buy or sell any security. Investing is Uncertain and always carries Risk. Of Losses. Subscribers should always assess Market Risk parameters with their broker or financial adviser. Information is for paid subscribers & may not be copied or distributed. © Copyright 2018. WHAT IF THE WALL IS REALLY JUST A STREET? NEAR TERM: Stock Sentiment is really low. We all get that. Buy in 2022. That has been and remains my forecast. So recent events are not all that surprising. I figured this would happen but only in the future. You see, the problem with forecasting the future is figuring out just when that future is going to happen. Sure stocks are due to bottom here and trade up into 2019 as I have been saying but who cares. The more interesting profile is when the next interim high is going to occur in 2019. You see, forecasting the future is not really that popular. One has to look into the future and the majority have their own notions about what their version of the future may be. Most people naturally accept the Present as a durable Reality. The Future is always different, often in different ways than we expect. For instance, if you suggested last Summer that stocks were dangerously elevated and that they were going to correct this Fall, let alone all the way into 2022, well that might have seemed ill-advised. Everything that hasn’t happened yet always seems unrealistic. Join Now And Get The Next Top Date-$99 for 45 days of reports. Meanwhile, I am pretty upset because all I wanted for Christmas was a “Wall.” A defined, “Wall of Worry” would be fine. That could be traded. But markets are appearing instead at the, “Wailing Wall!” This sort of grief is otherworldly. Well you don’t always get what you want. I had thought the Wall might just be a Street. What if the “Wall” strategy has some sort of deeper significance? Investors, are dominated by their belief systems. They believe but they do not know. As I have noted before, myth and metaphor speak to a deeper knowing of how human and investor behavior operate. History repeats. The psyche repeats. Markets repeat. The story about a Great Man who fell off a Wall and has some challenges getting back on his “High Horse” is really true. And what about, “All the Kings Soldiers and all the Kings Men” not being able to give him the boost back up he was expecting? Is there really a soldier character called “Mad Dog” in all this? Yes, you see, it really is true. The Bull Market was a useful and wonderful Myth as indeed the Bear Market will become. When we look at the Great Walls of History, they all fall under a similar Fate. The Great Wall of China may still be great but it is really just a relic with some touristic allure. Hadrian’s Wall may be quaint for walking tours of Great Britain. The Berlin Wall was dismantled and that provided quite a party atmosphere. There are lots of stone walls here in Vermont but most of the sheep they restrained are long gone and while the remaining walls may be of mild aesthetic interest, many of them are quite frankly, just a nuisance to navigate in the woods. Then there is the Maginot Line which was a famously ironic de facto wall. It was the pure illusion of military security. It is only a footnote now but is a wonderful metaphor for protective folly. I have been to the Arizona border wall where it does exist in all its might and grandeur, and it must be admitted that it is a dominant feature of the landscape. The fact is, folks do find their way under, over, around and through that mighty Arizona Wall anyway. So it is hard to figure what that Wall actually does do. The upshot of all this architectural ballistic insouciance is not so much about the shutdown of some government. But it is perhaps a fiendishly clever chaotic consequence that might Crash the Stock Market and then, in time, Crash the Economy. That could be kinda great because then the flow of folks into America might dry up. They may not want to come here. Things could go the other way! In other words, the proposed border Wall might actually prevent hungry, needy and such good folk from fleeing the U.S. for better economic prospects in Mexico and Central America? Sure it will take some time but it could happen? So, if we build that big border Wall, it might not be so easy for our own people to go south! It sounds a lot like the Maginot Line. Does the Déjà vu Metaphor Voodoo strike again? But don’t count out good old Yankee ingenuity. Chances are, if such a border Wall happens, our own people will also find ways over, under, around and through that Wall. Would it just be simpler to all agree not to build it? Make Love not War! Build Legos not Walls! Tequila could become the new Eggnog. Could Spirulina be the new Siracha? Look on the bright side, people. Things Change, Markets Change. Heck, even Climate Changes. It’s Christmas. Now that Climate Change is really happening, Rain could be the new Snow? Galoshes could be the new Snowshoes? Heck I don’t know but nobody else does either. Be prepared for anything. I had lunch with a regular investor a couple of weeks ago (not a student or trader of the market like you and me) and he has been getting really worried! I told him it was real simple, stocks have been going up for many years and have now entered a correction. He may want to get out of the market. So, he says “but you can’t be in cash can you? How do you do that?” Cash is a four letter word. You can use it, you can say it. It is, CASH. That is still the Big Picture if you are “worried.” This investor called me yesterday and said he thought I had actually used a five letter word. He thought I said CRASH. Now, that would be rude. I did not say that. Want to only stick with the Big Picture? Repeat: ‘Buy stocks in January of 2022. Buy bonds in 2038-ish.” But markets may do a few different dances between now and then. Santa is de-icing his sleigh so, don’t become complacently pessimistic. It is the Holiday Season people. Get off the Wall obsession. It is only a Street. And, Wall Street is a two way Street. See you next year on the Street. Wall Street. Either up or down. It might be a two way street again by then. What does predictive analytics means and how does it work? Sentiment Timings Predictive analytics model is comprised of investor sentiment-market timing turns dates and regular technical analysis. Woody Dorsey, who is considered by many on Wall Street, to be one of the best market timers in the world. 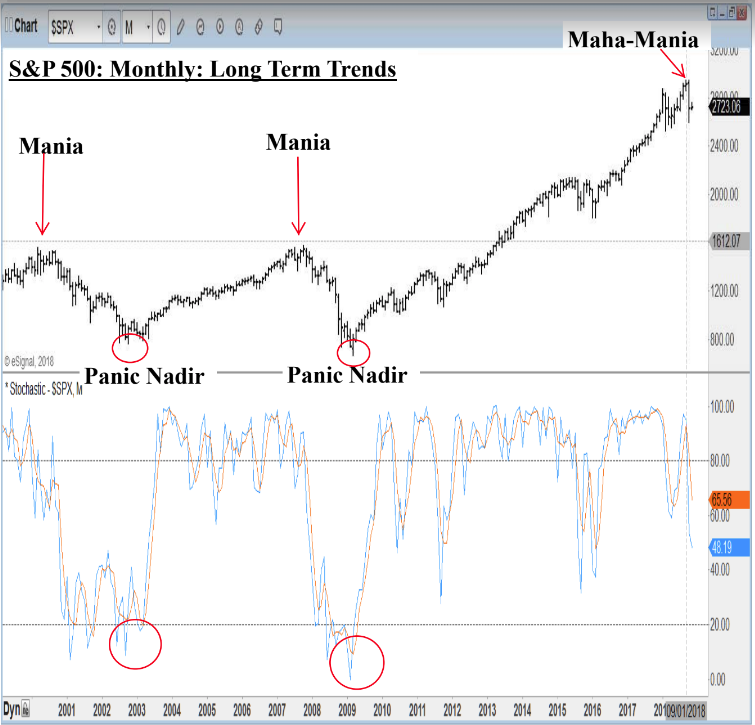 He uses over 13 different market timing indicators to predict when the SPX is going to make a top or a bottom, weeks and sometimes months in advance. CLICK HERE To See Some Of Our Previous Calls-And Ask Yourself, What Could You Have Done With This Information? You may have heard people talk about investor sentiment, but does anybody really know how to trade from it? The simple answer is NO! Or I should say, not many and the ones who understand how to use sentiment to enter or exit trades, will be the ones closing long positions at the top and moving their portfolio to the short side..and covering short positions at the lows and moving their portfolio to the long side. Sentiment Extremes will ALWAYS be seen at market tops and bottoms..as you can see in the sentiment chart below. What does predictive analytics means and how does it work? Sentiment Timings Predictive analytics model is comprised of investor sentiment-market timing turns dates and regular technical analysis. Woody Dorsey, who is considered by many on Wall Street, to be one of the best market timers in the world. 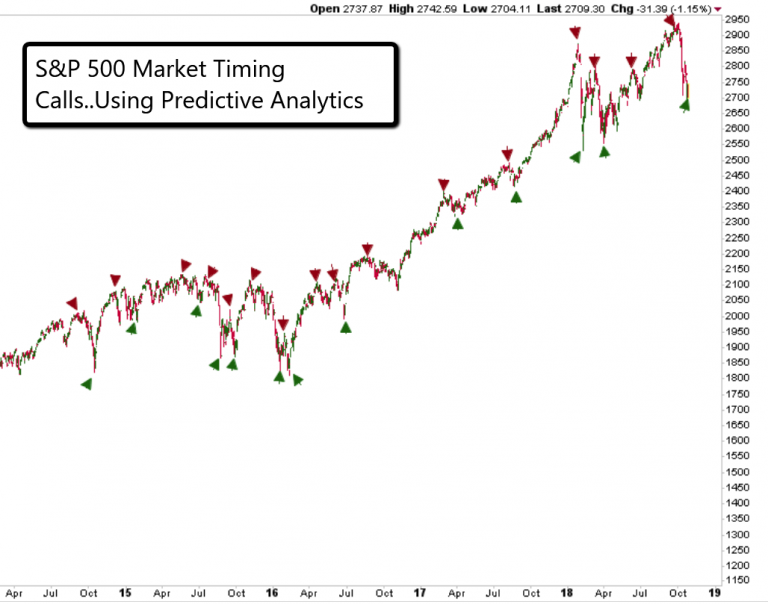 TIME: Woody uses over 13 different market timing indicators to predict when the SPX is going to make a top or a bottom, weeks and sometimes months in advance. SENTIMENT: Once we have the dates to look for a top/bottom, sentiment will give us the confirmation a turn is about to take place. 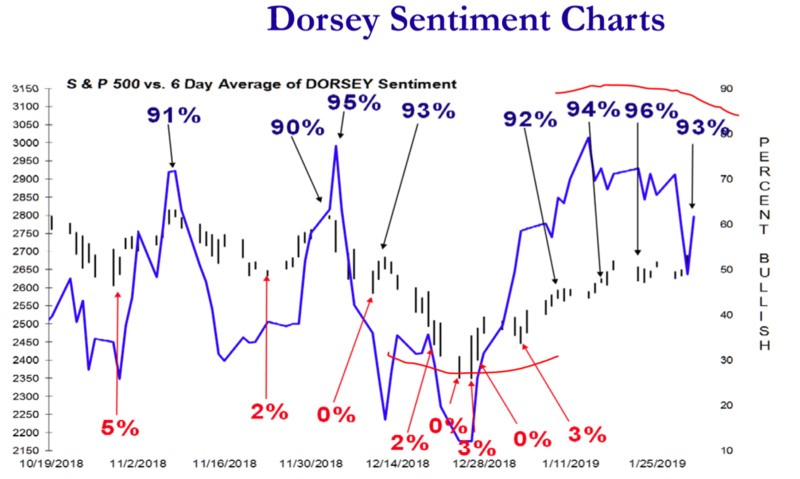 Sentiment extremes will always take place at tops/bottoms. Imagine Being Able To Know Exactly When The S&P 500 Is Going To Reverse..Weeks And Sometimes Months In Advance..What Could You Do With This Type Of Information? If It Seems To Good To Be True–Then See For Yourself..You Will Never Look At The Market The Same..I Promise You That! Information is for paid subscribers & may not be copied or distributed. © Copyright 2018. The information contained herein was provided by Sentiment Timing and/or its publishers does not make any representation or warrant with regard hereto, including but not limited to those of accuracy, completeness, reliability, timeliness and/or infringement on the rights of third parties. This Publication expresses a view on the markets but is not intended to provide any specific recommendation to buy or sell any security. Investing is Uncertain and always carries Risk. Of Losses. Subscribers should always assess Market Risk parameters with their broker or financial adviser.